The theory of change behind this project draws on multiple constructs, including elder empowerment, ibasho, community bonding, social capital, and community resilience. 1. Empowering elders changes the way they feel about their role in their community 2. 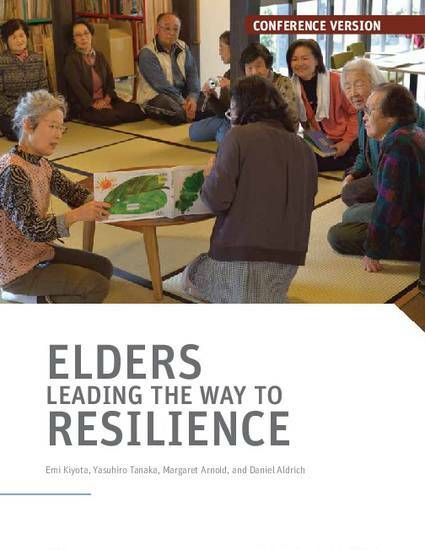 Creating the Ibasho Café (both physical and social infrastructures) with elders in a leadership role increases the community bonding among the members of all ages 3. A strong sense of community bonding increases the level of social network and community participation, enhancing the sense of belonging and trust, and developing reciprocity between neighbors 4. An enhanced sense of social capital strengthens the community’s resilience so it is better prepared to withstand future natural disasters and the impacts of global aging.